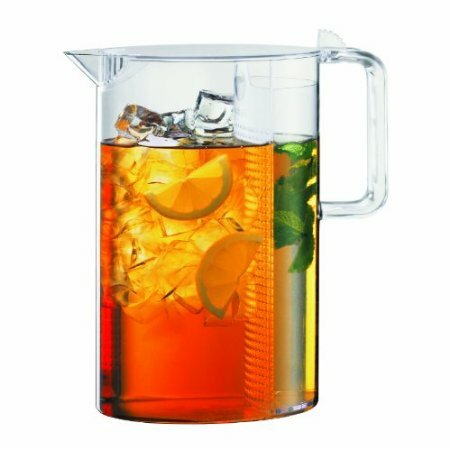 This iced tea maker is a great pitcher that can hold 102 OZ. of your favorite tea both loose-leaf and bagged. It is made from tough see-through plastic and has a filter in it that you can remove. It can also be bought in a 51 Oz. variation.